Dr. Garry J. Smith is a gambling research specialist at Alberta Gaming Research Institute, Canada. 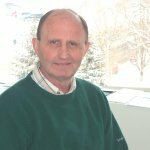 He has been a professor in the Faculty of Physical Education and Recreation at the University of Alberta for the past 25 years. He is now with the Department of Government Studies where he works with the Alberta Gambling Research Institute. Dr. Smith has been researching gambling public policy issues for 20 years. His scholarly contributions include numerous articles in academic journals, book chapters, and presentations at national and international conferences. Dr. Smith was co-author of several studies that examined the gambling patterns and behaviors of adult and adolescent Albertans and was the principal investigator on studies dealing with gambling-related crime and the impacts of video lottery terminal gambling. Dr. Smith has appeared frequently in the national media commenting on gambling issues, most notably on CBC’s “The National,” “Newsday,” and “The Fifth Estate” and on “Score” and TSN documentaries dealing with sports betting.